Storing files individually and transferring them online can take quite a bit of time if you do it all manually. A simple solution to this problem is compressing the files together in a digital archive. Not only does the archive have a smaller size than the collective size of the individual files, but you also have to store or transfer a single digital file rather multiple ones. Since there are numerous digital archive formats, you must pick one that offers the best compression percentage. Here promising a better compression rate than other popularly used formats is an application called KuaiZip. 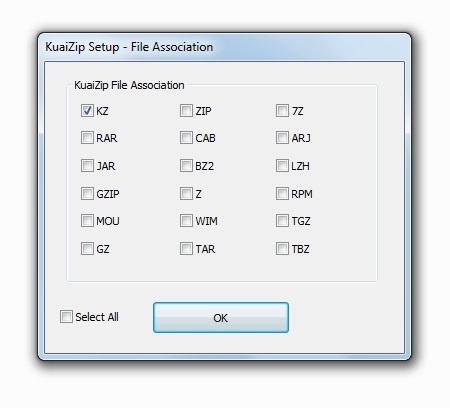 KuaiZip is a free to use desktop application for Windows. The app lets you open and uncompress archives of numerous file formats. Not only can the archives be uncompressed, but disc images can also be mounted using this application. When it comes to file compression, KuaiZip supports ZIP and 7Z compression. Additionally, the app offers a propriety compression format with the KZ extension. Using default settings, you will find that the KZ archives will generally have a smaller size than archives of other formats. Creating archive volumes, setting passwords for them, and various other compression options are all provided by the app. For greater accessibility, the app also places usability options in the Windows context menu. Supports uncompressing of numerous file formats. Can mount disc images on virtual drives. Supports compression in KZ, 7Z, and ZIP file formats. Also read related articles: The Top 3 File Compression & Extraction Softwares The Top 3 File Compression & Extraction Softwares The Top 3 File Compression & Extraction Softwares Need to compress a large file? 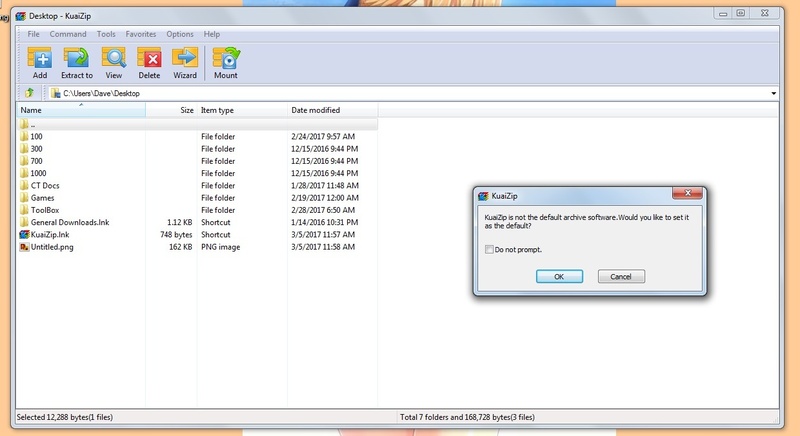 There's no shortage of file compression and archiving apps for Windows. But which file zipper is best for you? Here are our three top picks. Read More and Why RAR Is Better Than ZIP & The Best RAR Software Available Why RAR Is Better Than ZIP & The Best RAR Software Available Why RAR Is Better Than ZIP & The Best RAR Software Available RAR files are smaller, easier to split and easier to recover than ZIP files. These three features mean RAR files are better than ZIP, even though ZIP files are far more common. If you use... Read More . Sorry, but this is malware, plain and simple. 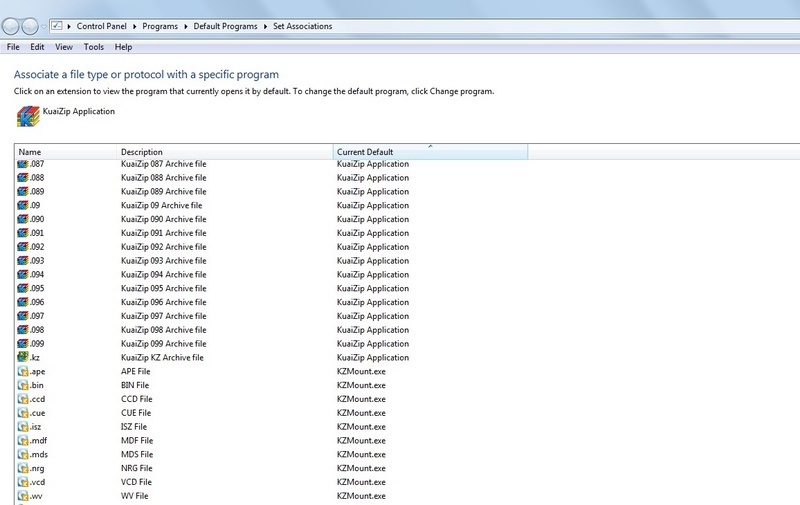 Even after I selected all of the opt outs and specifically installed it to associate ONLY with KZ files, it still hijacked all of my compression and mount files. Even worse, webroot blocked an additional attempt ([W32.Adware.Amonetize]) during installation. And I was able to duplicate most of what happened. Picture 1 (see below) shows the opt out. Unfortunately pic2 (see below) shows a vaguely worded opt back in that pops up after the original opt-out. I read pic2 incorrectly and accidentally opted back in the first time. I did it correctly the second time. 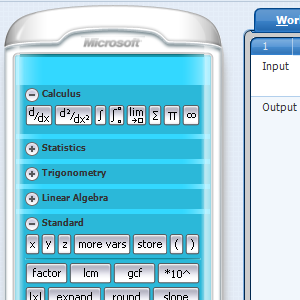 However, pic 3 (see below) shows the context menu changes that occur without a prompt at all. I was able to navigate the options menu and remove most of them, but needed CCleaner to remove others. The major problems are shown in pics 4 (see below) and 5 (see below). 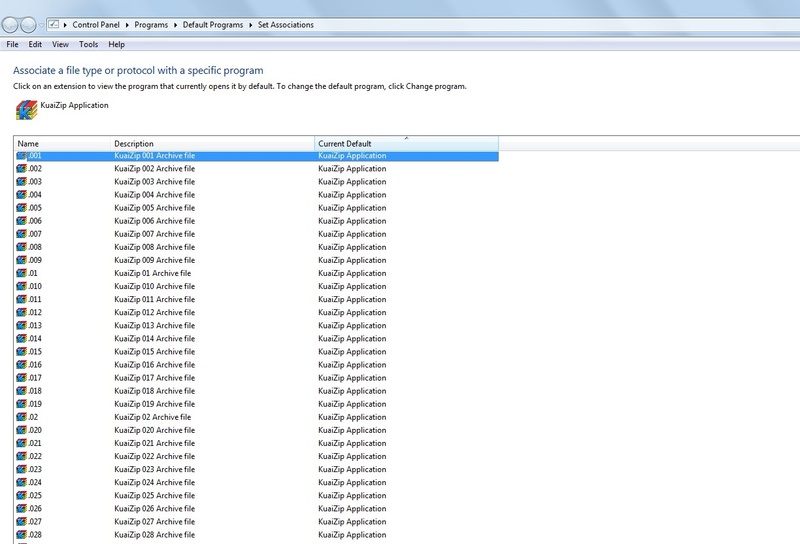 There is no opt-out anywhere for these, and no menu options within the program to remove or avoid this. The only way to fix would be to manually re-associate the 100+ file types . Most of the multi-folder types over .010 could probably ignored. However, re-associating the mount files is a challenge, as some of them are sometimes associated with music files and other times with virtual disks. It is all context related. Bottom line is that I am considering this malware. In the opt-in I clearly select KZ and ONLY KZ. However what I actually get is an additional 100+ file association changes that I neither want nor need. And which is troublesome to fix.